"Brigade Real Estate Accelerator Program (REAP) aims to help Innovators and Inventors utilise technology to create sustainable and scalable businesses in the Real Estate industry, an industry ripe for disruption." The 4 month Program is a well structured one that covers almost every aspect required in helping a company create a scalable and sustainable business. It covers areas like Product management, Technology, Strategy, Marketing, HR, Finance, Legal, IP, PoC, Traction etc. The team at Brigade REAP come with years of experience in the corporate world, entrepreneurship but more importantly have helped set up an accelerator program that has seen some path breaking companies scale successfully and raise funding. Young companies need access to customers at every stage in their journey. Whether it is a company who is willing to provide them with a test bed and a pilot or customers who are willing to listen to them with an open mind to onboard disruptive solutions, for a price. The program has on board investment mentors who will share insights on an ongoing basis on the 'viability' of the business model, the possible tweaks that a company may want to explore. This is a departure from the standard practice of meeting investors at demo day. We believe this will get companies progressively ready for scale and investment. In addition the Brigade group has set aside a fund to invest in startups that show promise while in the program. The team at REAP will also help with developing an in Depth Investor Pitch and business plan and on Demo day will be provided the opportunity to present to investors from across the country. An invigorating self-contained work space with all facilities and amenities to help companies focus on their core - Building a successful company. The companies in the program will have access to office spaces across 5 locations in Bangalore (JP Nagar, Koramangala, Lavelle road, Rajajinagar,Whitefield) Chennai and Hyderabad. You could use the space for meetings, anything to help you accelerate your growth. Mentor makeup: "The panel of mentors have been selected keeping in mind the sectors that we are focusing on but also the various disciplines required to help a company scale. We have been fortunate to have Industry leaders, successful entrepreneurs who have been there, done 'that' who have agreed to devote time to work with young companies to help them grow." 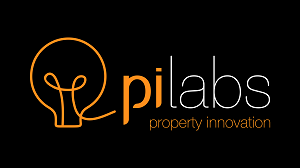 "Property Innovation Labs (Pi Labs) was founded to become the centre of the property innovation ecosystem with the vision to identify, mentor, invest in and accelerate high-calibre startup ventures who have the passion and ability to create scalable businesses that will disrupt the property sector." Companies will receive the full investment at the start of the accelerator programme. The investment includes a £10,000 fee, inclusive of VAT, which will be deducted at the time of investment. Companies that have initial traction can apply for our warrant option. The warrant gives us the right to acquire up to 5% (on a fully diluted basis) of the equity at a discount in your next round of funding. "MetaProp is the world’s leading early stage PropTech investment, advisory and startup acceleration firm." "Our mission is to help companies connect with one of the largest industries in the world: real estate. By helping companies innovate in the industry we help hundreds of thousands of small businesses, millions of REALTORS® and consumers and the economy as a whole." 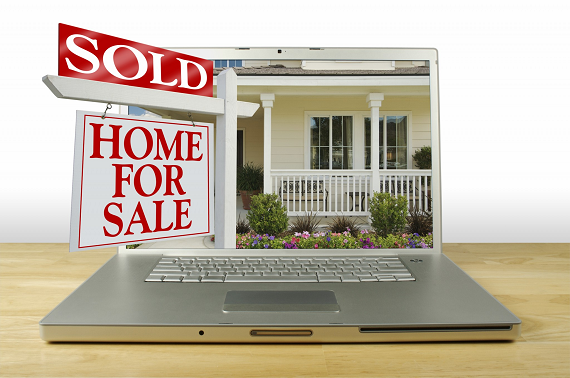 Association: not everyone can be associated with NAR’s $4.5 billion brand. Are you up to the challenge? "Our Real Estate Tech Innovation Platform is an ecosystem connecting forward-thinking corporations with the best startups in the industry." Program benefits: Startups will get access to different business units at the largest construction, property management, architecture, and planning companies. "The elmspring accelerator is a venture accelerator that invests in technology startups who aim to disrupt the real estate and housing industry." 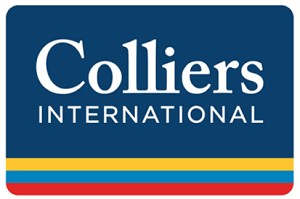 "Colliers Proptech Accelerator Powered by Techstars focuses on solving problems across the property & commercial real estate industry. The possibilities for innovation, disruption & productivity enhancing opportunities are endless. The partnership combines Techstars expertise in tech innovation, startups & alumni network with Colliers’ expertise in real estate, enterprising culture & global network. We are interested in any businesses that touch the property & commercial real estate value chains." Investment amount: Upon acceptance to a Techstars Accelerator, every company is offered a $100,000 convertible note. Techstars contributes $20,000, which is commonly used as a stipend to support living expenses during the program, and in return receives 6% common stock from each company. "In the global marketplace, one size doesn’t fit all. That is especially true for today’s diverse and competitive startup ecosystem. Inhab Real Estate Tech Accelerator is not your traditional accelerator program—it’s a next-generation acceleration initiative." 12 % of equity shares for entering the acceleration program and refining the concept using our tools and network, this is in lieu of program fees and our time. Additional funding opportunity of up to USD 500K as seed round funding from our partner and client network in case they find your concept great. The equity stake will be decided on the quantum of investment and product potential. Proprietary curriculum based on years of running our companies, investing, mentoring startups and running acceleration programs. "Dreamit Ventures is a fund and accelerator focused on startups with revenue or pilots that are ready to scale. Dreamit UrbanTech focuses on real estate, construction, and smart city startups." A $50K Convertible Security that will convert into your next round of funding with no discount. To be clear, this is not a cash investment in your company. In essence, this is a program fee to help us cover a portion of the program costs. Continuing with the example above, this $50K would convert at the $20M post-money valuation ($15M pre-money + the $5M raised), making it worth just 0.25% of your startup’s outstanding equity. Other than the Convertible Security mentioned above, there are no additional costs for companies to participate in the program. However, founders must cover their own travel costs for the Investor Roadshow and Customer Immersion Program. 2-week Multi-city Customer Immersions: Meet with senior real estate and construction executives to dramatically reduce your partnership and sales cycles. 2-week Multi-city Investor Roadshow: One-on-one meetings with interested investors in their offices. Close your round in less time. Deep Domain Expertise and Critical Advice: Find success more quickly working with successfully exited urbantech entrepreneurs. "Join RElab to work with a deep network of real estate, technology and business leaders to test and explore ideas that will transform the world of real estate." Investment amount: Finalists have potential to pitch for significant seed or scale up investment depending on company stage. While the amount of investment available is discretionary and depends on company stage, success of project, due diligence, etc, the potential investment is from a group of investors that have the experience and capability to invest anything between £50k and £10m as well as the capacity to follow on as the business scales up. The investment approach and philosophy is to be value add investors and aligned to partner your business as it grows. Each team participating in RElab enters into an Option Agreement as part of the onboarding process. The terms, including valuation, are agreed case by case and are very much bespoke to each start-up.